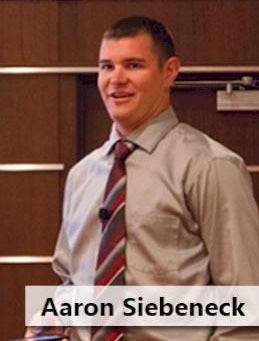 Helena Chemical Company recognizes Aaron Siebeneck as the 2015 Outstanding North Central Division Intern Award winner. Siebeneck is from Ottawa, Ohio and is a senior at The Ohio State University majoring in Agriculture Systems Management. He was selected from a competitive group of 65 interns throughout the Midwest for his outstanding performance throughout his summer internship with Helena Chemical Company. Siebeneck worked as a Summer Sales and Marketing Intern for the Continental, Ohio branch. During his summer internship, Siebeneck worked with growers positioning and evaluating multiple yield enhancing Helena Products and precision agriculture technologies throughout the Ohio market. His internship was completed in mid August. The 2015 Helena Summer Intern class was comprised of 65 students from 29 Universities across the country. The $2,000 award is designed to encourage creativity and innovation among the intern team and assist with college expenses. Alexandria Eatherly of the University of Arizona was awarded the West Central Division Award, and Casey Krieger of North Dakota State University was awarded the Midwest Division Award. Helena Chemical Company is a leading distributor and formulator of crop protection and crop production inputs and services. Based in Collierville, Tennessee, Helena has nearly 450 locations across the United States.